My first art journal is complete! I have been hoarding, I mean saving, some of these vintage treasures to use for just the perfect project. 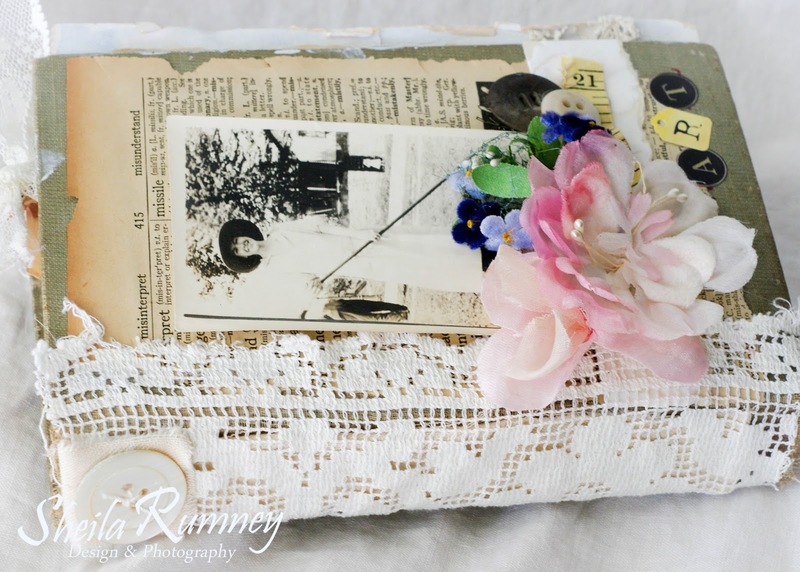 The lace piece from my Grandma Long, a sweet picture, old buttons and vintage millinery. I can't wait to start my next journal. It is already in the process! 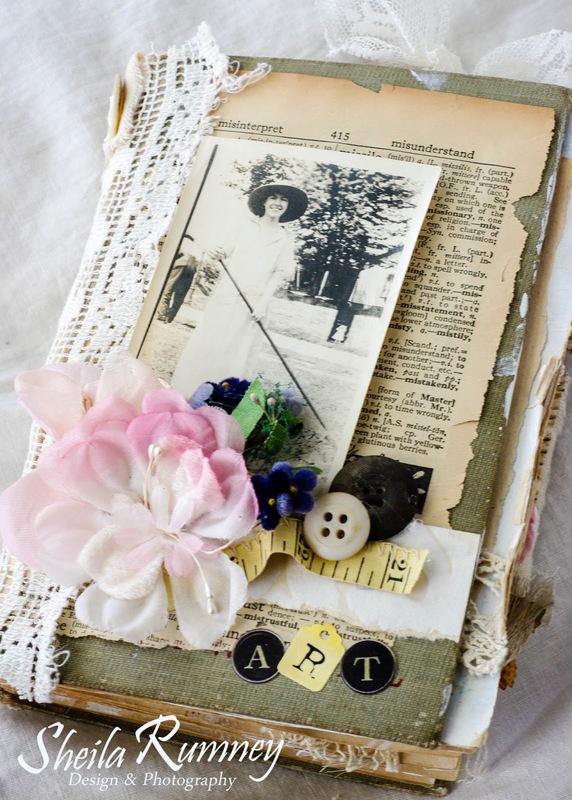 Oh, Sheila, this art journal is delicious. I have enjoyed the photos you have been posting on your blog. 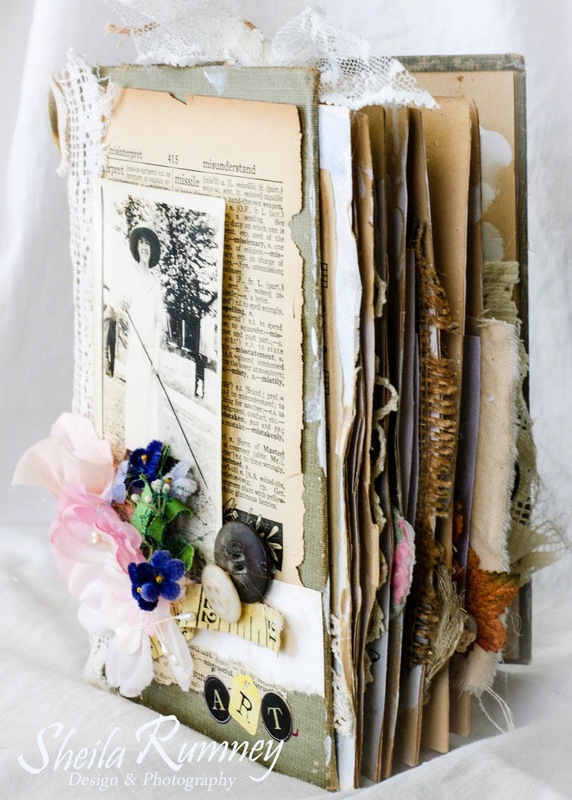 And the completed work of art is as delightful as the pages inside. Excellent!!! Sheila, you have such a delicate hand....and everything you make has so much life in it. I want to hold this in my hands, admire all the beautiful details and hear all the stories. That's what I love the most about your work....it tells a story. Hugs! Do you have other pictures? It is beautiful!